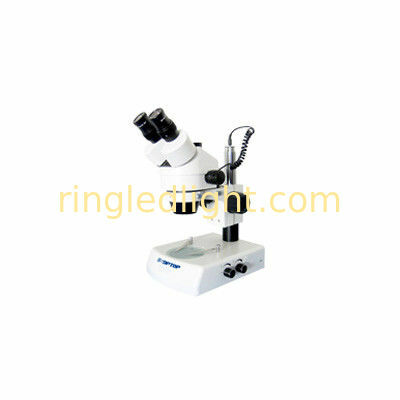 High quality optical system, and optical components coated with special coating created a high-quality optical system. Auxiliary Lens 0.5X/165mm. 0.75X/105mm. 1.5X/45mm. 2X/30mm. Focus SZMA1 focus arm, two focusing knobs are with tension adjustable, adjust range 50mm. SZMST2 pillar type transmission stand, top & bottom halogen illuminator 12V15W (brightness adjustment).